When I met Chuao Chocolatier at the All Candy Expo, I knew I had found something special. I have already reviewed their Bonbons and signature ChocoPods, and now I am going to review their creative line of chocolate bars. 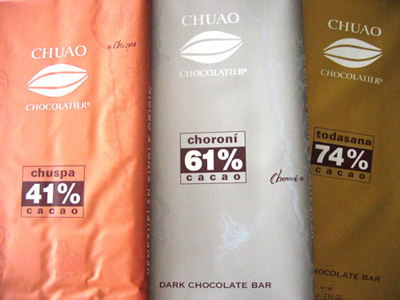 Chuao’s bars really represent the theme of the company: unique, creative and delicious. The bars come in Caracas, Spicy Maya, Earl Grey and Chinita Nibs Bar flavors. One of the best things about finding a good chocolatier is knowing they are going to keep coming out with new and delicious ways for you to enjoy their wonderful chocolate. 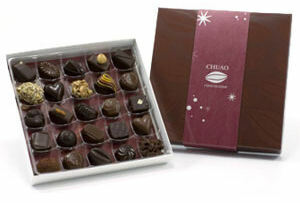 Such is the case with Chuao Chocolatier, who, as all you Candy Addicts know, is one of my favorites. We’ve reviewed several types of their sumptuous chocolate treats before and now they’ve come out with some new products to make me fall in love with them all over again. 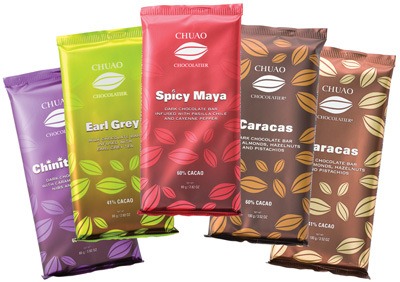 I’m talking about Chuao’s new line of Single Origin Chocolate Bars and their new Winter Hot Chocolate. Both of these products came just in time for the colder months of the year, since they’re both traditional comfort foods for any chocolate lover. Who can imagine any winter evening without a mug of hot chocolate or a nice rich bar to indulge in? I certainly can’t! What I find so special about the new chocolate bars is that by selecting specific regions, Chuao it taking one of the richest chocolate couveture around and now refining that flavor that even more. 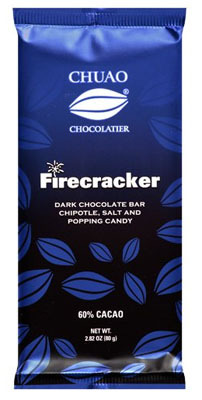 I find this really exciting and I have high expectations for the flavors that each bar will offer.